The Chicago Police department have released an official statement regarding the Jussie Smollett case. 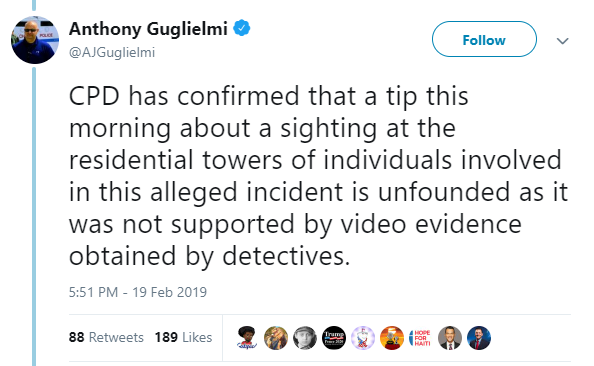 Chicago police spokesman Anthony Guglielmi took to twitter today to say that Jussie Smollett is now officially a suspect in the case. Guglielmi said that police department is presenting evidence before a Cook County grand jury. 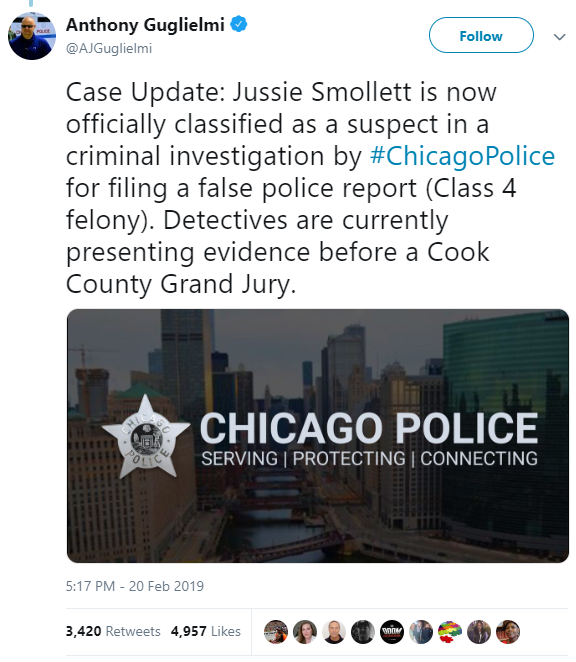 Jussie Smollett is officially a suspect in a criminal investigation for filing a false police report, a Class 4 felony. Gugliemlmi was asked about reports of half a dozen subpoenas seeking Smollett’s cell phone and bank records have been issued, he said he was not a liberty to discuss that.